Adria serves dual roles as Program Specialist and San Mateo County Agricultural Ombudsman. As Program Specialist, she is involved in all aspects of grants administration and project support. As the Agricultural Ombudsman, she serves as a liaison between agricultural producers and County officials, helps farmers and ranchers navigate County permitting and helping the County improve its agricultural permitting process. Adria holds a bachelor’s degree in Environmental Studies from Pitzer College and a master’s degree in Public Policy from Cal Poly San Luis Obispo. Adria has been involved in food systems work in California since 2009. Most recently, she worked as a Program Coordinator for Environmental Center of San Luis Obispo and as the Coordinator for the San Luis Obispo Food System Coalition. She lives in Bonny Doon, and spends her free time gardening, painting, and enjoying the beautiful outdoors. Andrew works to find innovative ways to free up water for fish, farms and people and to restore the watersheds that are used by all. Andrew earned a B.A. in Environmental Science from Colorado College and a Master’s degree, with a specialization in Water Resources Management, from the Bren School of Environmental Science & Management at UC Santa Barbara. His Master’s thesis group project with The Nature Conservancy sought to determine the feasibility of freeing up water for migratory birds and people in the Sacramento Valley by using a variety of mechanisms including water markets and impact investing. Andrew has a breadth of experience in areas such as habitat restoration, data analysis, consulting, groundwater management, and environmental economics. 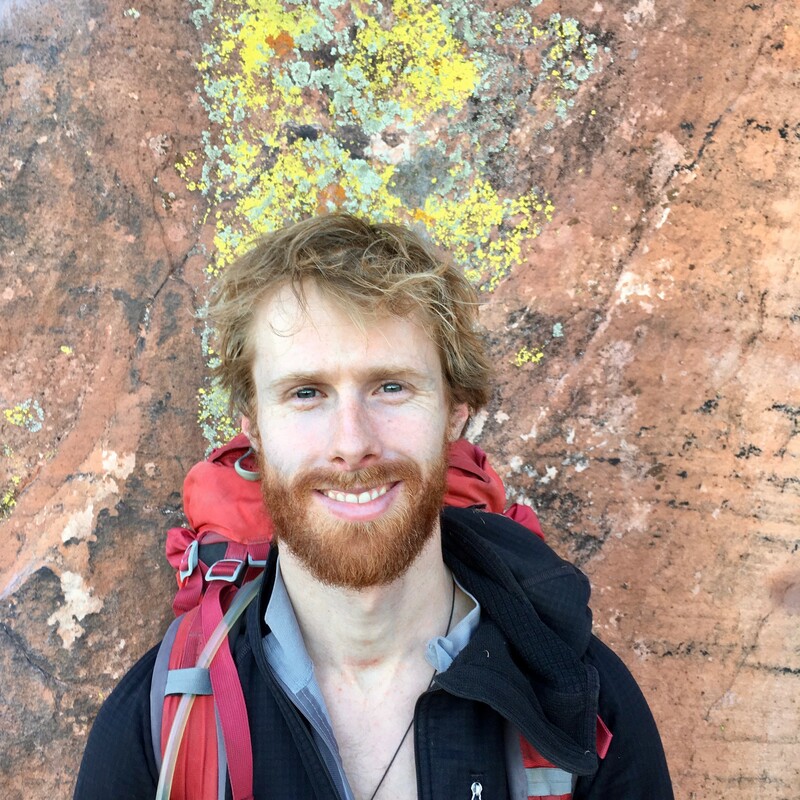 Andrew grew up in northern Big Sur and has a passion for protecting wild places and getting people into nature. In his free time, you will find him pursuing outdoor adventures among rock, land, and all forms of water. Brittani coordinates a variety of conservation projects with particular focus on the stewardship of water resources. As the manager of the RCD’s water quality program, she oversees efforts to monitor and mitigate diverse potential sources of pollution entering our waterways, including confined animal facilities, marinas, farms, residential areas and rangelands. Brittani also assists with water conservation and water use efficiency programs for agricultural and domestic water users. Brittani holds a B.S. in Biology from the University of Wisconsin and a M.S. in Marine and Watershed Science from California State University, Monterey Bay. 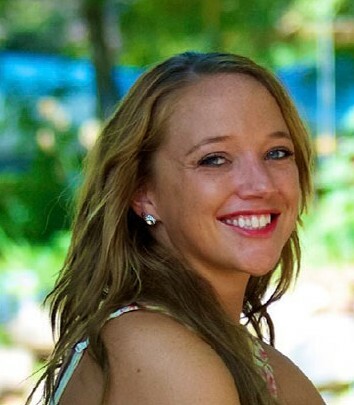 Brittani has experience in research, project management, environmental compliance, and technical writing through previous jobs in the water industry, environmental consulting and with the U.S. Department of Energy. Brittani enjoys living Coastside in Pescadero, going to festivals, and backpacking. Bryanna works across several teams at the RCD on issues of water resources, habitat restoration, vegetation management and communications. She holds a degree in Environmental Studies from the University of California at Santa Cruz, where she gained experience in the natural history of California and practical applications of ecology. 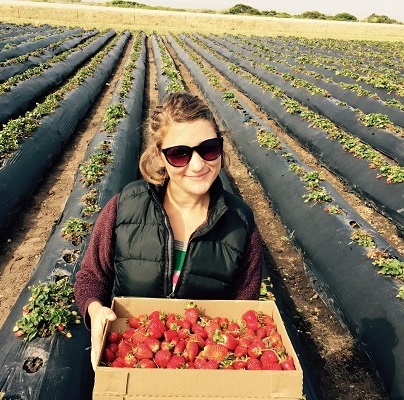 Bryanna grew up in Petaluma, where she cultivated a deep love for rolling hills and farmland- that love extends into the work that she does with farmers and land managers on the Coastside. She lives in San Gregorio, where she enjoys bicycling, birdwatching, making art, and community events. Bryanna continues to work to support small farms in San Mateo County and volunteers in wildlife rehabilitation. 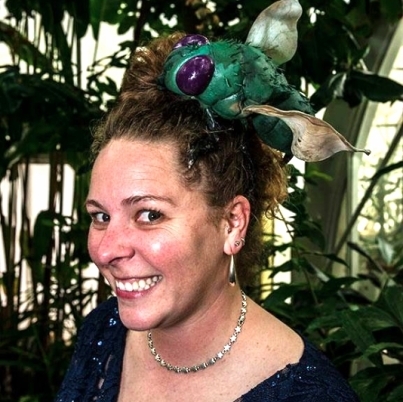 Cleopatra is involved with “all things living” as a biologist for the RCD. 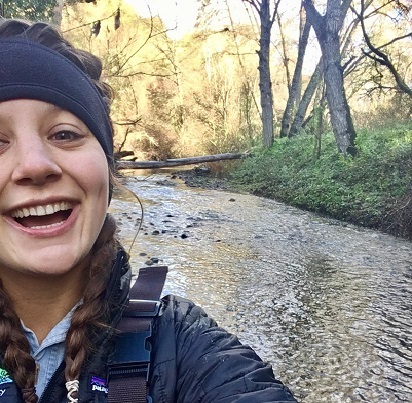 She coordinates a program to eradicate slender false brome, an invasive weed damaging our redwood forests, in addition to other vegetation management and habitat restoration related projects. Cleopatra has experience in botany, plant and fungal research, conservation ecology and habitat restoration. 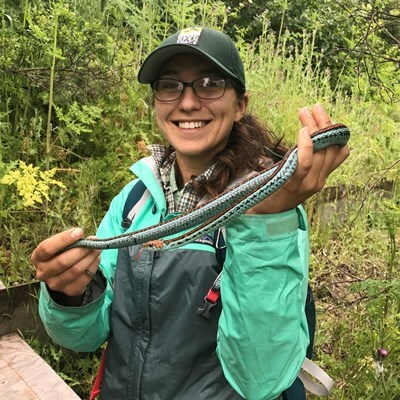 After getting her bachelor’s degree from UC Santa Cruz in Plant Sciences she worked with Midpeninsula Regional Open Space assisting with vegetation management and habitat restoration projects. She also works with volunteers in Santa Cruz to restore local beach habitat. In her free time, Cleopatra likes to explore the Santa Cruz mountains and coastline with her dog and a sketch book. Jarrad manages programs and projects addressing water resources, sedimentation, erosion, water stewardship, and habitat restoration. He earned a Bachelor’s degree in Geography specializing in GIS and Remote Sensing, and a Master’s degree in Geographic Information Science from San Francisco State University. Jarrad’s master’s thesis monitored and evaluated a large floodplain restoration project for the RCD. 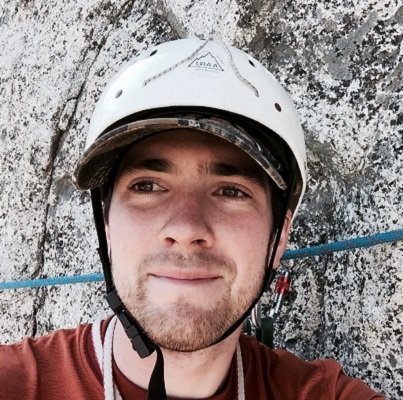 He brings considerable background in natural resource management, biogeography, and bioclimatology and spends much of his free time rock climbing and backpacking in Yosemite, Tahoe, and the Eastern Sierras. Joe’s work focuses on creek habitat enhancement projects and efforts to restore streamflow through water conservation and stewardship. Joe has worked for RCDs since 2006, first in Santa Cruz County and in San Mateo County since 2011. 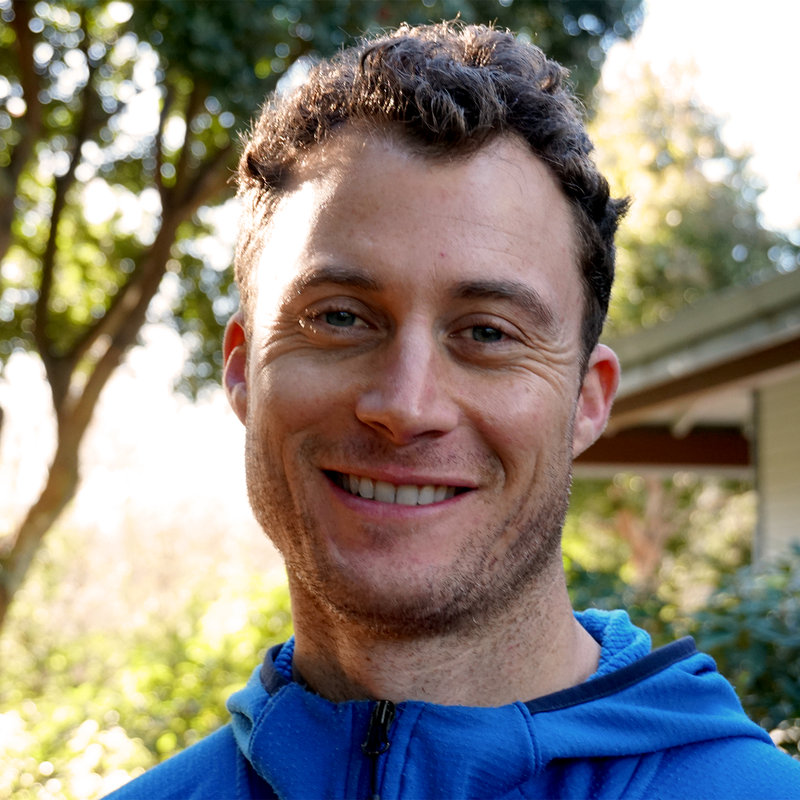 Joe holds a bachelor’s degree from UC Santa Cruz in Environmental Studies and an M.S. in Geographic Information Science from San Francisco State University. Joe spends much of his free time at his family’s property in Albion, near the Mendocino Coast where they are actively restoring their redwood forest. Kellyx Nelson is passionate about public service and building strong alliances to tackle thorny challenges. She has spent nearly 30 years in non-profits, government, and the private sector developing, implementing, and assessing programs and partnerships for environmental benefit and other public good. She has served as the Executive Director of the Resource Conservation District since 2006. 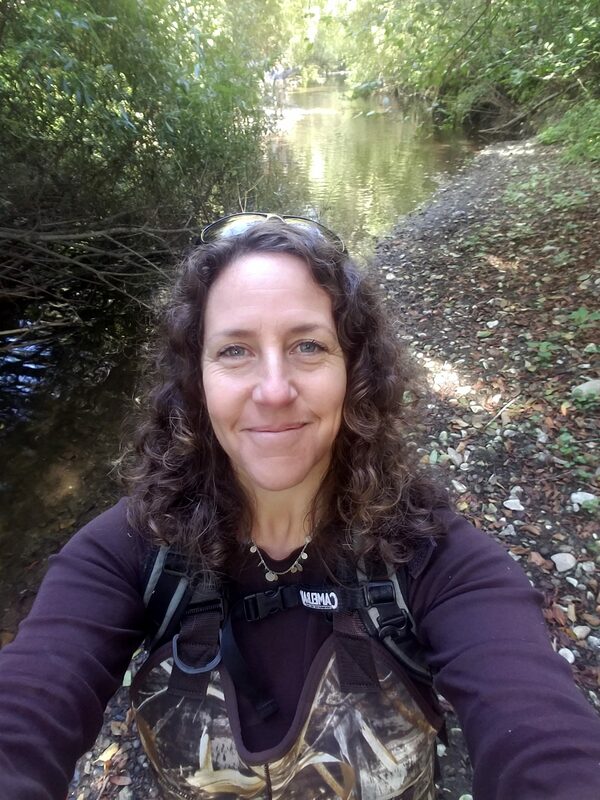 Her diverse career has included 14 years as an environmental educator for underserved communities in New York and San Francisco, driving a Freightliner cross-country as a long-haul trucker, delivering packages as a motorcycle messenger, and managing conservation projects for a local land trust. She has an undergraduate degree from Columbia University in Political Science and Environmental Science and a Master’s Degree in Public Policy from UC Berkeley. Under her direction the RCD has achieved distinction, receiving the 2017 Silicon Valley Water Conservation Award, 2016 Sustainability Award from Sustainable San Mateo County, 2012 District of the Year from the California Association of RCDs and more. In 2015, Kellyx was inducted into the San Mateo County Women’s Hall of Fame in recognition of her contributions to the overall well-being of the County. Lau wears many hats as the RCD’s Administrative Officer, where she is excited to support its noble, boots on the ground conservation. Prior to working for the RCD, she spent 10 years managing the facilities and curating exhibits at a Victorian-era greenhouse and public garden in San Francisco. Lau holds degrees in History and French from the University of San Francisco and has studied Horticulture at Merritt College. In her free time, she enjoys traveling, nerding out on California history and tending to her garden in Half Moon Bay. Sara supports multiple efforts at the RCD focused primarily on climate, erosion and sedimentation, and regulatory compliance. She works in a variety of capacities including project coordination, data analysis and report preparation, policy analysis, development of permit applications, and workshop planning. 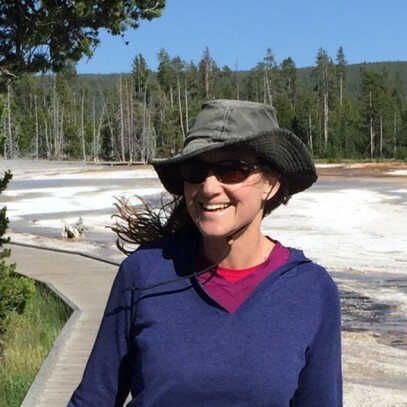 As a planner with the San Francisco Bay Conservation and Development Commission (BCDC) for over a decade, Sara worked closely with partner agencies and local governments on planning for sea level rise and other coastal hazards utilizing tools and communications resources that she helped develop. Sara holds a bachelor’s degree from Stanford University in biology and a master’s degree in Environmental Science and Management from the Bren School at the University of California, Santa Barbara. Sara and her husband and son love living on the Coastside, and enjoy hiking in the hills and walking along the Coastal Trail. The work of the RCD is supported with staffing from the Natural Resources Conservation Service (NRCS) and the United States Fish and Wildlife Service (US FWS). As District Conservationist Jim has led NRCS’s working lands conservation in San Mateo County since 2005. Prior to joining NRCS he spent 15 years managing Ecosystem Restoration programs. 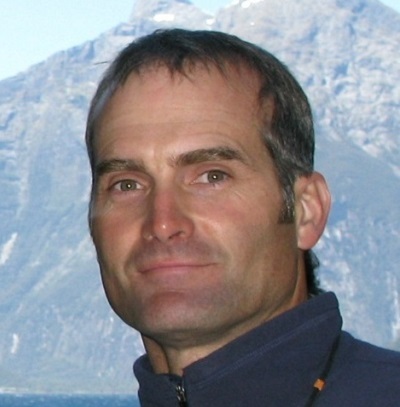 He has worked for the US Peace Corps, the private timber industry, two Resource Conservation Districts, the National Park Service, and the U.S. Forest Service. He holds a bachelor’s degree in Forest Management from Humboldt State University and a master’s degree in Water Resources Management from Duke University.